The CNOOC and Shell Petrochemicals Company (CSPC) complex at Dayawan in Huizhou, China produces 2.3 million tpa of various petrochemicals. This facility's diverse logistics and complex oil and solid product distribution and movement are controlled and managed by a Yokogawa movement automation system (MAS). The MAS is the backbone of logistical operations involving the loading/unloading of 250 trucks each day and 60 ships per month for delivery sales and the downstream shipment of products to outside the fence (OTF) companies for OTF pipeline sales. The unique design and engineering of this complex has been a key factor behind the efficient and fully optimized management of CSPC's logistics. With its seamless interface to the customer's enterprise resource planning system (ERP), this MAS has enabled CSPC to efficiently and cost effectively load/unload a variety of products/materials. The MAS system used by CSPC has the following operation categories for product movement. The product distribution to clients and all the requisite product movements are managed and controlled by the MAS. The following figure shows CSPC's product movements. The Yokogawa MAS is comprised of management and control systems. The management system employs a client/server architecture and mainly supports logistical coordination and supervisory activities through an interface to CSPC's higher level ERP system. 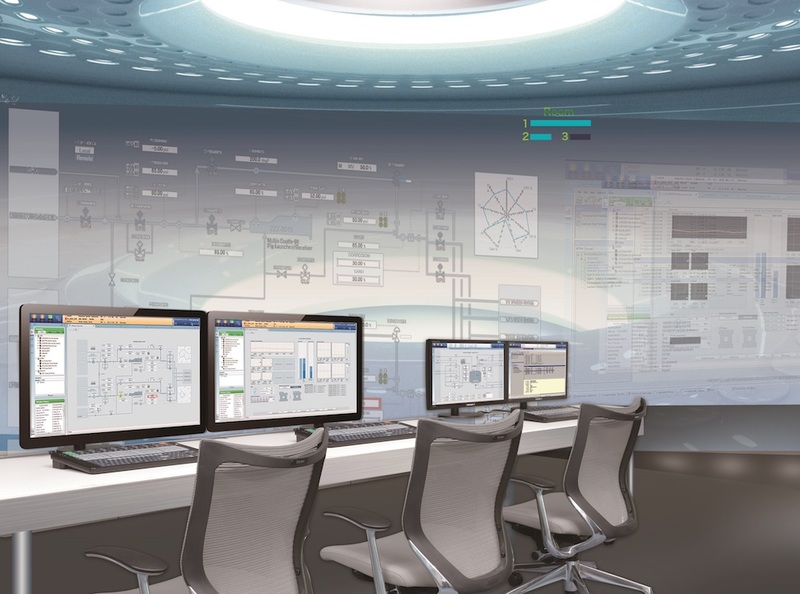 A Yokogawa distributed control system (DCS) serves as the MAS control system. This oversees and monitors the loading/unloading of products. The high reliability of the DCS coupled with a very high system availability of 99.99999% makes it the perfect choice for product movement. The MAS system architecture is as shown below. The key challenges in the design and engineering of the MAS were the achievement of the following items in various operation environments and in such a way that the system functionalities could be easily adapted by system operators and users. With regard to road operations, i.e. truck loading/unloading, all of these challenges were taken into consideration during the design phase. With supply chain management, a business operation can achieve significant cost savings by optimizing and improving the efficiency of its logistics operations. The upfront investment in technology for a MAS system requires also a well thought-out flow of business operations and robust business controls in its logistics operations. Operational Excellence in delivery and distribution can achieve tangible improvements in unit costs through the efficiency and optimization of operations and the reduction of rework and human error. The key to cost benefits is having robust design criteria that meet the operational requirements of the above challenges.